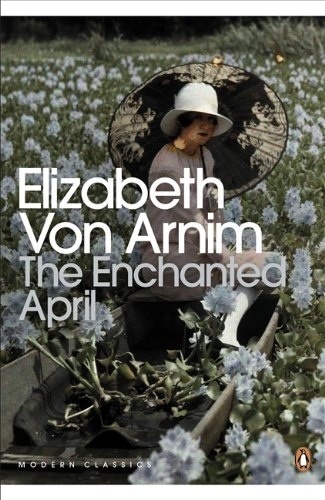 Much like the film this book by Elizabeth Von Arnim inspired, there is something peaceful here on these pages. This is a gentle novel about the gradual internal changes brought about by the beauty of our surroundings. It is a book that reads itself as much as it is read, the author writing with the flow of the characters thoughts and feelings as their hearts are changed by the suprise of beauty. An ad to rent a castle in San Salvatore on the Italian Riviera will prompt two British women, Rose and Lottie, with only a passing acquaintance, to inexplically leave their husbands behind for a summer that will change their lives and their marriages forever. Joining Rose and Lottie for this holiday is Mrs. Fisher, an older woman living in the past, and Lady Caroline Dester, a grey-eyed society beauty tired of being gawked at like a majestic statue, not allowed to be human. Diverse in nature and temperment, not to mention background, they interact uneasily together until the flowers and the sea bring about a change in their souls. Surrounded by fig and olive trees, plum blossoms and Tamarisk daphnes, and the scents of fortune's yellow rose and blooming acacia, the women slowly find their roles at this castle by the sea, and in doing so find themselves as well. New insights will prompt Rose and Lottie to send for their husbands. Lady Caroline, or 'Scrap' as she is known, will find love in spite of her wish to be alone and her great beauty. Mrs. Fisher will form a friendship with Lottie and her husband, and discover a renewed zest for creativity in this heaven by the sea. This is a novel about life and love, told gently through the emotions of these women, as the the suprise of beauty and the warmth of being suddenly admired and seen as beautiful, when they had not been before, changes their simple lives, which were not so simple at all. You will definitely enjoy this novel if you enjoyed the film. It is about love restored, and love discovered, along the wistaria covered steps leading down to the sea.